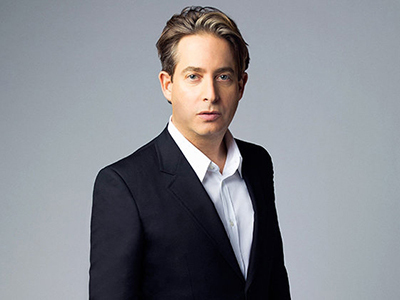 Republic Records president Charlie Walk will visit the University Sept. 7 as a guest of the Newhouse School’s Bandier Program. Walk will give a public lecture at 6:30 p.m. in the Lender Auditorium, Room 007, Martin J. Whitman School of Management. His talk presented as part of the Soyars Leadership Lecture Series. Since joining Republic Records in 2013, Walk continues to redefine the role of a record executive in a rapidly changing business. Walk has been honored as one of Billboard Magazine’s “Power 100 Players” 2015, 2016 and 2017. In 2016, he was appointed president of the Republic Group. In addition to overseeing and integrating the company’s marketing, promotion and media departments, Walk also actively seeks, signs and develops new talent. The results speak for themselves: In 2017, Billboard once again named Republic as the music industry’s “Top Label” on the publication’s year-end charts, with the best overall performance across the Top 200 albums chart and the Hot 100 songs chart combined. Nearly one out of five songs played on radio is released under Republic’s umbrella. In his storied career, Walk has driven over 50 Billboard Number One hits. His vision and hands-on guidance have been crucial to the rise of new, generation-defining superstars The Weeknd, Lorde and Ariana Grande. Walk also spearheads promotion partnerships for Big Machine Label Group (Taylor Swift), Cash Money Records (Drake, Nicki Minaj) and Island Records (Shawn Mendes, Demi Lovato, Nick Jonas). He personally signed Hailee Steinfeld, foreseeing her transformation from actress to pop star, and co-created Joe Jonas’ new band, DNCE, to multi-platinum status. Walk also encouraged powerhouse songwriter Julia Michaels to make the leap to becoming an artist and, since signing her to Republic, has helped her to become the biggest breakout star of 2017, with over 6 million singles sold to date. Before joining Republic Records as executive vice president, Walk spent more than 15 years at Columbia Records, fostering the careers of Destiny’s Child, Beyoncé, John Mayer, New Kids on the Block, The Fugees and John Legend, to name a few. At the end of 2005, he transitioned to president of Epic Records, where he once again exhibited his uncanny sense for hit singles by steering the release of Shakira’s triple-platinum-selling “Hips Don’t Lie,” which remains the ninth-most-downloaded song in music history. During his time at the label, Walk also helped break Sean Kingston, The Fray and Sara Bareilles. After leaving Epic, he co-founded a full-service creative agency, JWalk, working with brands such as Microsoft, Lacoste and Equinox prior to teaming up with Republic. In 2017, JWalk was acquired by cosmetic giant Shiseido Americas Corp.
A longtime philanthropist, Walk serves on the board of Phoenix House, a nonprofit drug and alcohol rehabilitation organization, and City of Hope, a cancer research and treatment center. He’s been honored by VH1’s Save the Music Foundation for his contribution to efforts to restore music education in public schools. In addition, Walk was honored as a notable supporter of Musicians on Call, a nonprofit dedicated to bringing live music to patients in healthcare facilities. For more information about his talk, contact Lisa Steele at 315.443.1388 or llsteele@syr.edu.